The Shropshire Family Vintage Show returns to the Greenhous West Mid Showground this summer on July 6 and 7. 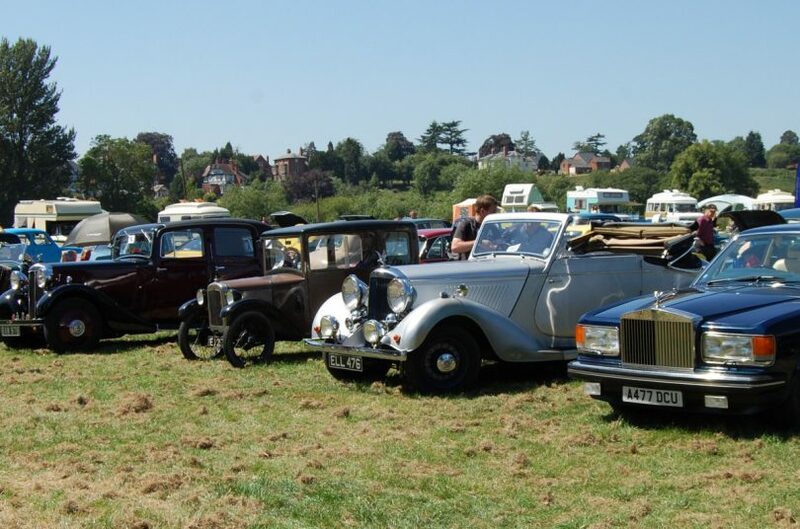 The show, organised by the Mid Shropshire Vintage Club, which has also been running for over three decades, is a two-day vintage vehicle extravaganza. It draws exhibitors from all over the UK to showcase their vehicles, including every type of classic car, motorbikes, Land Rovers, military vehicles, steam engines, tractors and more. The club has helped to raise over £150,000 for charity over the years and this year will be giving proceeds and donations to The Severn Hospice and R.A.B.I (The Royal Agricultural Benevolent Institution). The club and the show are two of the most successful and long-running of their kind across the country, but they are still hoping to attract new members in order to secure the show into the future. Club and show chairman, Richard Haynes, said: “We used to have over 200 members, but numbers have dropped to around 160. This is still a lot more than many of our counterparts, but we are really hoping to keep these events going for the next generation of enthusiasts. My dad and show treasurer, Leslie Haynes was one of the founding members of the club. “We also host a number of other events throughout the year, including monthly meetings with speakers, an annual BBQ and presentation evenings. Proceeds from these events go to charity. “We would love to attract people of all ages who have an interest in vintage vehicles – you don’t have to own one, just be an enthusiast! Some of the highlights of this year’s show will include tractor pulling from the Whitchurch Challenger Tractor Pulling Club, face painting booked for the Kids Area and Juggling Jim and donkey rides. Every year the event also stages an auction of vintage machinery and tools by H J Pugh & Sons and this will take place on Saturday, July 6 at 10.30am. The show runs from 9.30am to 5pm on July 6 and from 9.30am to 4pm on July 7 at the Greenhous West Mid Showground. Each year, a special tractor is featured and in 2019 it will be the ‘International’.